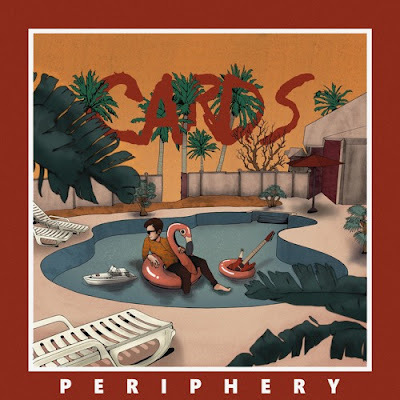 Home / brand new / CARDS / música / CARDS Returns With New Single "Periphery"
CARDS Returns With New Single "Periphery"
L.A.-based producer/songwriter CARDS is back with a brand new single called Periphery. This one is quite different from his previous single One Too Many Movies. While One Too Many Movies was super smooth and chill, Periphery takes a more upbeat approach with a highly infectious summery melody. Really enjoying the summery guitar riffs and drums and I like the playful delivery of his soulful vocals. That guitar solo is AMAZING! Periphery is a perfect song for those summer beach parties to come! Stream this cool song below!